The Blades of Glory are presenting the show “Sword in the Stone ” during the Kids On Main, Saturday, May 25 at 11:30 am in front of the Warkworth Town Hall Centre for the Arts, 40 Main Street, Warkworth. 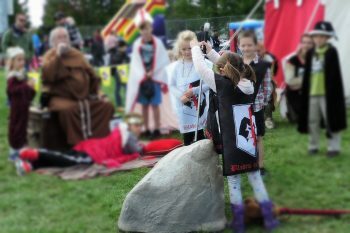 Don your armour and have your feet march you to the Warkworth Lilac Festival on May 25. You can watch OR you can take part in the Classic Medieval Story of “Sword in the Stone”!! 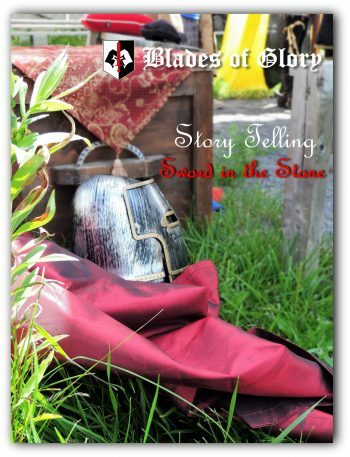 Blades of Glory storyteller “Friar Tuck” (Brother Williams) tells the extraordinary tale of Power, Deception, and Destiny. See if you have the strength to pull the Sword of Power from the Stone and be proclaimed King… or Queen. Even if you cannot be the child of Destiny, we also need warriors, nobles and the ancient Merlin! Bring your best acting shoes… or acting cloak. Be the Kid Who Would be King!